Designed for the unattended monitoring of noise in poor weather conditions, this hire kit consists of a Class 1 sound level meter in a protective case with an outdoor microphone. 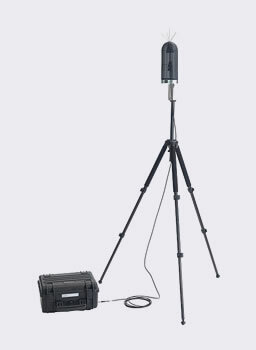 This Outdoor Noise Measurement Kit contains a Class 1 Data Logging Sound Level Meter (the CEL633C1), fitted with real-time Octave and 1/3 Octave Band Filters. It includes the usual environmental noise measurement parameters, such as periodic LAeq, LAMax and statistical Ln values. Multiple timers make it easy to carry out automatically repeating measurements, as required by most environmental noise standards. 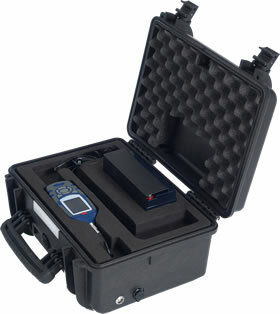 The sound level meter is enclosed in a strong, weatherproof case, protected in custom foam. A heavy duty battery inside the case will keep the meter running for well over seven days. The microphone is also protected against the weather. It is mounted on a tripod and connected to the outside of the case via a weatherproof connector. The WPK-633C1, with its top specification sound level meter, is intended for all short term environmental noise monitoring applications. The CEL633C1 Sound Level Meter can be easily removed from the case. We provide it with a preamplifier that plugs into the top to enable it to be used as a stand alone hand-held meter. Used in this way you can make additional environmental noise measurements without the need for the case and outdoor microphone. The meter still makes the same measurements and has a battery life of around 15 hours. The kit is supplied with the meter already installed in the case and with the battery fully charged. Switch meter on and set timers if needed. The outdoor noise kit is designed to run unattended for at least seven days. The battery should last if fully charged and the memory is more than adequate to store all the noise measurements. When finished, just press the Stop key and switch the meter off. The noise measurements can be viewed on the meter's display but it is usually more convenient to download them to a computer. You can use the Insight software that is included in the kit or, if you just want the measurements in Excel or similar software, you can use a small program called CasellaDrive to extract them as simple CSV files. Timers Duration 1s to 24h. Six timers.